Gin, ginger beer, orange bitters, orange, agave and fresh lemon on the rocks. If you have ever traveled with a small child, you know how stressful arriving home from a trip can be. After hours of inertia, we open the front door and immediately launch into a hectic frenzy of trying to make sure that our son is fed, bathed, and in bed at a decent hour while simultaneously unpacking, trying to remember where everything goes, finding places for things we acquired on the trip, opening mail, doing laundry, fitting suitcases back in the closet, and basically trying to get everything back to normal as swiftly as possible so that we can go to bed at a decent hour and resume life as usual the next morning without being crushed with a bunch of leftover tasks. Hours after arriving home from a camping trip in Cape Cod a couple of weeks ago, I had been on autopilot for hours and had no idea how I was going to relax enough to fall asleep any time soon. 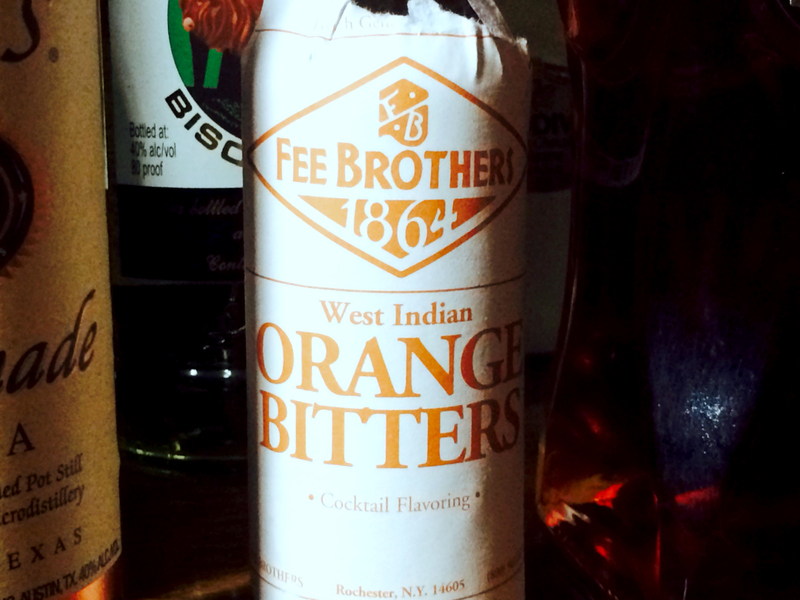 I was throwing out some stuff from the fridge when my husband – also in purge mode – asked me what we were doing with a bottle of West Indian Orange Bitters and whether or not we would ever really use it. I had purchased that bottle a year earlier with the intention of experimenting with bitters, but the truth is I rarely have time to engage in mixology these days. My repertoire is generally limited to margaritas, simple martinis, and the occasional Pimm’s Cup. But I was still on autopilot, so I immediately loaded our martini shaker with what little we had in our kitchen: ice, gin, a splash of orange juice, a squirt of agave, and several generous dashes of the orange bitters. Then I filled two highball classes with ice, squeezed half a lemon in each, poured the mixture over the ice and topped each with a slice of lemon and a can of ginger beer I found in our bar fridge. 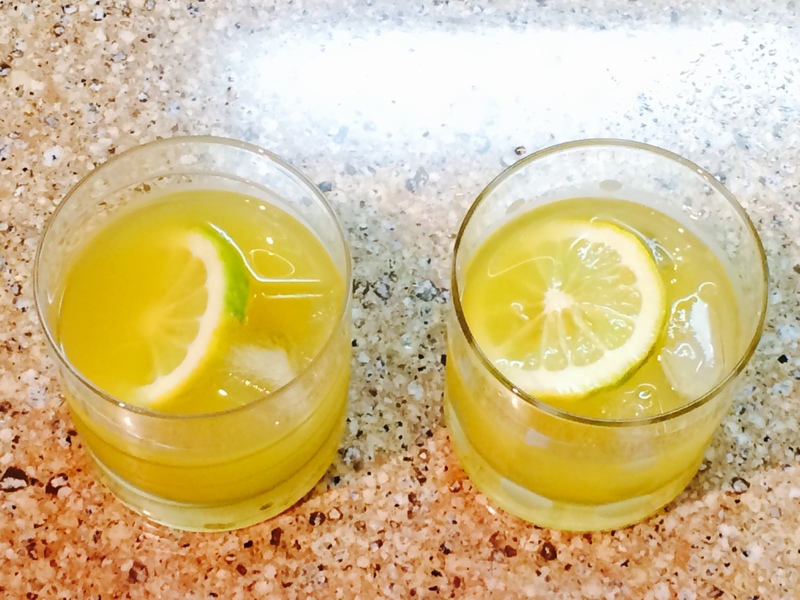 My skills must have been better than usual that evening, because the result was exactly what I had hoped for – cold, fresh, citrusy, a little sweet and a tiny bit bitter. I loved the combination so much that I wrote it down so I wouldn’t forget it. I called it a soft landing because it really did provide a welcome cushion to the end of our trip that night. I have made it several times since, and it is currently my favourite drink. 1. Fill a martini shaker with 6 ice cubes, gin, OJ, bitters, and agave. Shake well. 2. Cut the lemon in half, slice off a ring from each side, and put a ring in each of two highball glasses with 3 ice cubes in each. Squeeze a lemon half in each glass. 3. 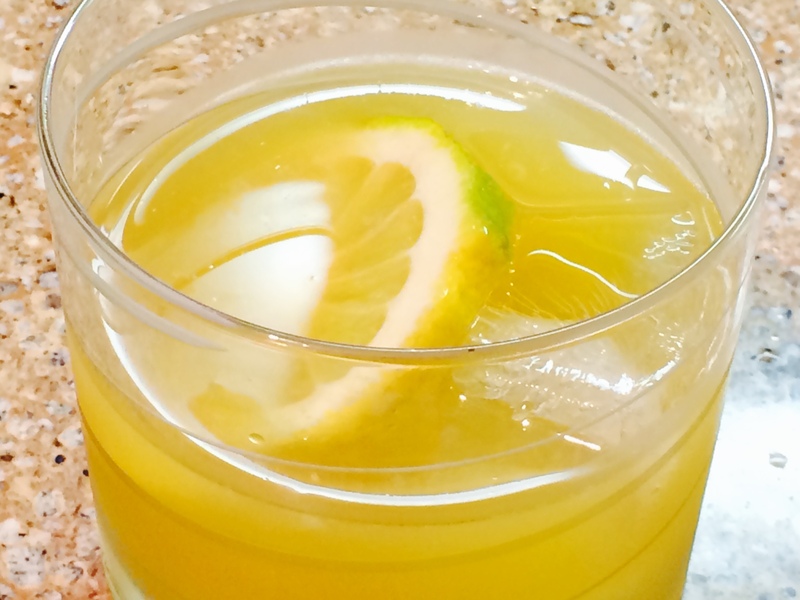 Pour contents of shaker over lemon and ice and top with ginger beer. I bought a lot of glasses thinking I would be posting cocktails too, no luck yet, but this has certainly inspired me. The colour looks so good. I love sweet and tiny bitter too! Thanks! The color is one of the things that is appealing to me about this drink as well. Look forward to seeing the drink posts when you get around to it! This is so awesome! Could have used it on Sunday, haha. But every night needs a soft landing when there are kids in the house. You do good work! Love how you intuitively put this all together. Perfect. Thanks so much Liz! 🙂 Glad you like it. Agreed about soft landings and kids. 😉 I’m sure you could have used a couple of these on Sunday! Hope the trip back was good and that the festival was fun. Are you planning any bourbon-themed posts? I’ll remember that if ever preparing a cocktail for you, James. You have exquisite taste.